A subtle and ancient curse of great potency and malignancy lurks within Gloamhold’s gloomy, dust-shrouded halls. Curiously, it seems only those who dwell in the world of men—humans, elves, dwarves and the like—fall prey to its malign influence. 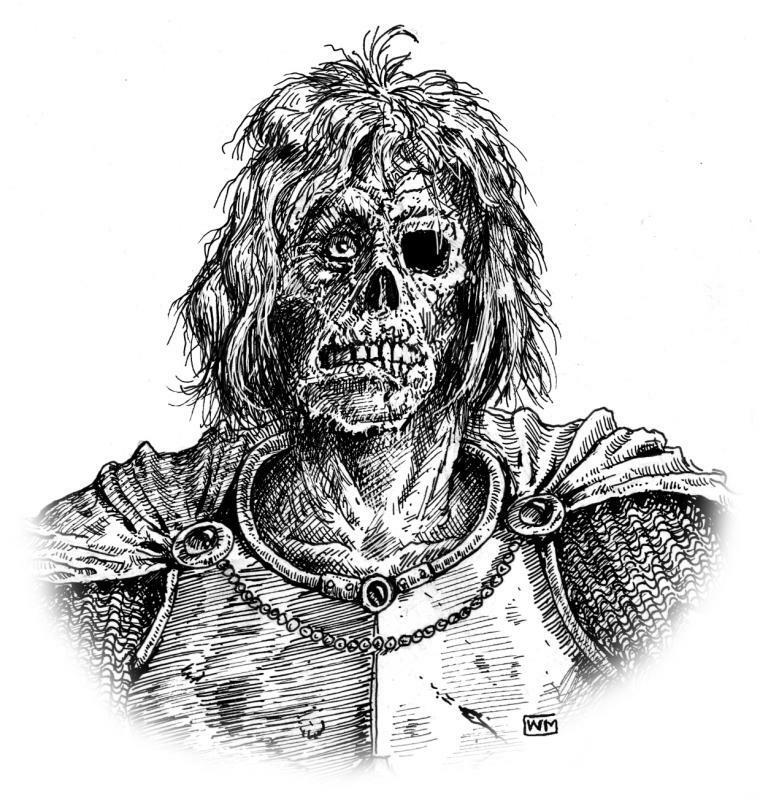 Those accustomed to living underground in the permanent dark of the ancient fortress’s ebon reaches appear immune to its effect. The PCs are not the only adventurers exploring Gloamhold. At any one time, a dozen or more groups might be active in and around the dungeon. Such groups are not necessarily hostile toward the PCs, but neither must they also be friendly. An encounter with such a group could slow down the PCs’ progress through the dungeon and—at the least—offer a chance for some role-playing. 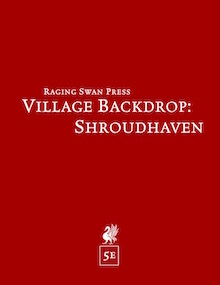 This week, Raging Swan Press releases Village Backdrop: Shroudhaven. By Mike Welham, the village is available in Pathfinder, 5e and System Neutral editions. If you need a sinister village stuff full of undead, Shroudhaven is the place for you! Raging Swan Press Now Releasing 5e Products! Today’s an exciting day! 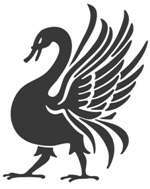 Today, Raging Swan Press releases its range of 5e products onto the world! Our 5e supplements will be available exclusively at DriveThruRPG and RPGNow. You can check out our initial offering, and our release schedule here. And even better than all that, to celebrate the launch, selected 5e products are 25% off! You can learn more over at DriveThruRPG and RPGNow.